1. (C) DAMASCUS HAS ADOPTED A LOW PUBLIC PROFILE ON THE AMAL-HIZBALLAH FIGHTING IN THE IQLIM AL TUFFAH, DESPITE ITS INTENSITY AND POTENTIAL CONSEQUENCES. SYRIAN MEDIA HAS GIVEN LITTLE ATTENTION TO THE BATTLES AND THE SARG APPEARS TO BE TAKING FEW, IF ANY, STEPS TO TRY TO END IT. THE FLURRY OF PUBLIC DIPLOMATIC ACTIVITY BETWEEN DAMASCUS AND TEHRAN, WHICH FOLLOWED PREVIOUS CLASHES BETWEEN THE TWO SHIA’ MILITIAS HAS NOT OCCURRED. UNLIKE ITS IRANIAN COUNTERPARTS, THE SARG HAS NOT CALLED FOR A CEASE-FIRE AMONG THE COMBATANTS. DAMASCUS IS SUPPORTING THE INTERVENTION OF THE LEBANESE ARMY INTO THE AREA, BUT PROBABLY ALSO REALIZES THE LAF CAN DO LITTLE TO STOP THE FIGHTING WITHOUT THE ACQUIESCENCE OF BOTH AMAL AND HIZBALLAH. INTERESTINGLY, AN ARTICLE IN AN NAHAR, AN INDEPENDENT WEST BEIRUT NEWSPAPER, PORTRAYED THE FIGHTING AS AN “UNDECLARED WAR” BETWEEN SYRIA AND IRAN. 2. (C) DAMASCUS HAS PAID LITTLE PUBLIC ATTENTION IN THE MEDIA TO THE FIGHTING THUS FAR, FOCUSING INSTEAD ON THE HRAWI GOVERNMENT’S JULY 11 PLAN TO IMPLEMENT TA’IF. THE SARG HAS TAKEN NO STEPS AIMED AT HALTING THE FIGHTING. EVEN THOUGH, THE FIGHTING IS IN AN AREA OF LEBANON WHERE THERE IS NO CONCENTRATION OF SYRIAN TROOPS, DAMASCUS AND TEHRAN HAVE BROKERED CEASE-FIRES BETWEEN AMAL AND HIZBALLAH PREVIOUSLY. DAMASCUS PROBABLY DOES PERCEIVE AN INTEREST IN STEMMING HIZBALLAH’S ROLE AND ANY GROWTH IN INFLUENCE AS A RESULT OF THE FIGHTING. IRANIAN FORMIN VELAYATI CLAIMED IN HIS LETTER TO LEBANESE PRIME MINISTER HUSS (REF A) THAT IRAN HAS BEEN IN CONTINUOUS CONTACT AND CONSULTATION WITH THE SARG, BUT EMBASSY DAMASCUS HAS NOTED A LACK OF PUBLIC DIPLOMATIC ACTIVITY. WE HAVE DETECTED NO SHUTTLING OF IRANIAN OR SYRIAN DIPLOMATS BETWEEN THE CAPITALS OR INTO LEBANON TO TALK WITH AMAL AND HIZBALLAH OFFICIALS. 3. (S) EMBASSY HAS ALSO DETECTED NO ATTEMPT BY THE SARG TO STOP THE FLOW OF ARMS TO THE COMBATANTS. PRESS ACCOUNTS INDICATE THAT SOME OF DAMASCUS’ OTHER LEBANESE SURROGATES, SUCH AS ELIE HUBAYQA, ARE ASSISTING AMAL, WHICH PROBABLY INCLUDES SUPPLYING ARMS. IF THE SYRIANS CAN PREVENT THEIR PROXIES FROM SUPPLYING GENERAL AWN AT A MOMENT’S NOTICE (REF D), THEY ALMOST CERTAINLY COULD EXERT THE SAME INFLUENCE ON THEIR PROXIES WHO ARE SUPPLYING AMAL. 5. (C) THE SARG HAS ALSO ALLOWED ITS ALLY, AMAL LEADER NABIH BERRI TO PUBLICLY CALL FOR THE REMOVAL OF IRANIAN FORCES FROM LEBANON. BERRI HAS MADE SEVERAL STATEMENTS OVER THE LAST COUPLE OF MONTHS REITERATING THIS POINT WITH LITTLE DETECTABLE REACTION FROM THE SARG. AMAL OFFICIALS HAVE ACCUSED IRANIAN REVOLUTIONARY GUARDS OF PARTICIPATING IN THE FIGHTING AND HAVE EVEN BLAMED THEM FOR ESCALATING IT (REF C). 6. (C) THE SARG HAS ANNOUNCED ITS SUPPORT FOR THE INTERVENTION OF THE LEBANESE ARMY (LAF) INTO THE IQLIM AL TUFFAH IN ORDER TO HALT THE FIGHTING (REF F). LEBANESE ARMY COMMANDER GENERAL LAHUD WAS IN DAMASCUS OVER THE WEEKEND MEETING WITH GENERAL SHIHABI, ACCORDING TO LEBANESE PRESS REPORTS (REF G). 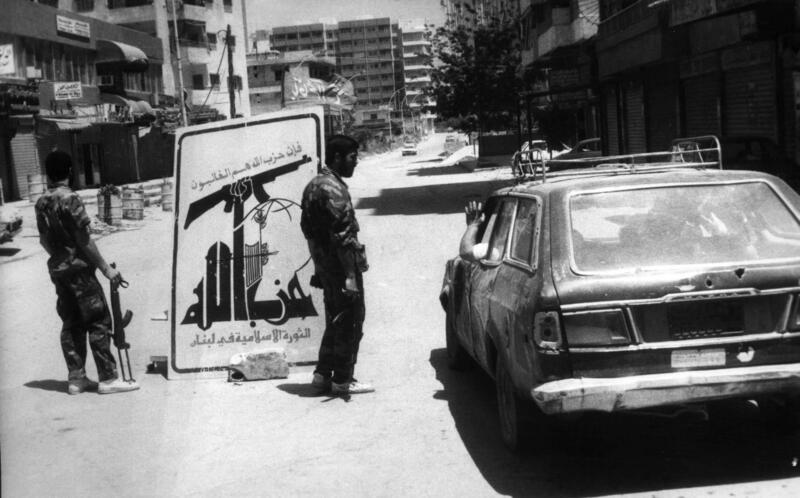 THE PLAN TO INTERVENE IN THE IQLIM FIGHTING PROBABLY WAS A TOPIC OF CONVERSATION, ESPECIALLY SINCE THE LAF HAS FEW TROOPS AND WOULD BE HARD PRESSED TO GET INVOLVED BOTH IN THE IQLIM AND AID IN THE IMPLEMENTATION OF THE JULY 11 PLAN IN BEIRUT. 7. (U) AN NAHAR, AN INDEPENDENT WEST BEIRUT NEWSPAPER, PUBLISHED AN ARTICLE ON JULY 25 ENTITLED “THE IQLIM AL TUFFAH WAR IS BETWEEN SYRIA AND IRAN” (REF E). THE ARTICLE QUOTED SOURCES CLOSE TO DAMASCUS AS SAYING “THE FIGHTING…BETWEEN ‘HIZBALLAH’ AND ‘THE AMAL MOVEMENT’ IN IQLIM AL TUFFAH…IS ACTUALLY AN UNDECLARED WAR BETWEEN THE ISLAMIC REPUBLIC OF IRAN AND SYRIA.” THE SYRIAN SOURCES BASED THIS CLAIM ON THREE FACTORS: — THE FAILURE OF AN INDIRECT AGREEMENT BETWEEN IRAN AND THE U.S., WHICH HAD BEEN BROKERED BY SYRIAN FORMIN SHARA’, EARLIER THIS YEAR; — IRAN’S FEARS OF THE INCREASING PROSPECTS FOR ARAB RECONCILIATION; AND — HIZBALLAH AND IRAN’S FEARS THAT THEY WILL BE LEFT OUT OF THE PLANNING FOR LEBANON’S FUTURE. 8. (C) THE ARTICLE ALSO PRESENTS THE IRANIAN VIEWS ON WHAT LED TO THE ABOVE PROBLEMS. THE IRANIAN SOURCES BELIEVE THE SYRIAN SPONSORED US-IRANIAN AGREEMENT FAILED BECAUSE OF “DAMASCUS’ CONNIVANCE WITH WASHINGTON” AND DAMASCUS ‘S FALLING INTO THE U.S. TRAP AND ITS (DAMASCUS) IGNORANCE OF THE FACT THAT “U.S. POLICY TOWARD THE IRANIAN ISLAMIC REVOLUTION…HAS NOT CHANGED.” SYRIA’S RAPPROCHEMENT WITH EGYPT AND THE NEVERENDING ATTEMPTS TO RECONCILE SYRIA AND IRAQ TRIGGERED THE SECOND IRANIAN FEAR. THE JULY 11 PLAN’S EXCLUSION OF THE SOUTHERN SUBURBS UNTIL “ALL OBSTACLES, THE MOST IMPORTANT OF WHICH ARE THE FUNDAMENTALIST MOVEMENTS, ARE OVERCOME” HEIGHTENED THE LAST IRANIAN CONCERN. 10. (C) DAMASCUS PROBABLY WILL MAINTAIN ITS PUBLIC AMBIVALENCE TOWARDS THE FIGHTING AS LONG AS AMAL HOLDS ITS OWN AGAINST HIZBALLAH, WHICH RECENT IRANIAN AND . HIZBALLAH CALLS FOR A CEASE-FIRE SEEM TO INDICATE. THE SARG CAN HIDE ITS INACTION BEHIND THE JUSTIFICATION THAT IT HAS NO TROOPS IN THE AREA TO INTERVENE. – 11. (C) THE CURRENT WILDCARD IS THE POTENTIAL ISRAELI REACTION TO THE CONTINUED FIGHTING IN THE IQLIM. SO FAR, NEITHER THE SARG OR THE SYRIAN MEDIA HAS MADE AN ISSUE OF RECENT ISRAELI STATEMENTS THREATENING POSSIBLE INTERVENTION SHOULD THE FIGHTING THREATEN ISRAEL’S SECURITY (REF H). THE ISRAELIS MAY BE LOOKING CLOSELY AT THE PLO’S PRESENCE AND ACTIVITIES IN SOUTHERN LEBANON IN THIS REGARD. 12. (C) THE AN NAHAR ARTICLE NO DOUBT GOES TO FAR IN CASTING THE FIGHTING IN THE IQLIM AS ENTIRELY A “WAR” BETWEEN SYRIA AND IRAN BUT TENSIONS BETWEEN THE TWO SPONSORS PROBABLY ARE A FACTOR. THE ARTICLE DOES CORRECTLY HIGHLIGHT MANY OF THE RECENT EVENTS WHICH HAVE CAUSED STRAINS BETWEEN DAMASCUS AND TEHRAN. THE TWO COUNTRIES ULTIMATELY ARE AT ODDS IN THEIR VISION FOR LEBANON’S FUTURE. 1. (U) AN IRANIAN DELEGATION LED BY IRANIAN VICE PRESIDENT DR. HASAN HABIBI MET SYRIAN COUNTERPARTS IN DAMASCUS NOVEMBER 3-5 WITHIN THE FRAMEWORK OF THE SUPREME SYRIAN-IRANIAN COUNCIL TO DISCUSS A FULL RANGE OF BILATERAL AND REGIONAL SUBJECTS. ACCOMPANYING HABIBI WERE IRANIAN FOREIGN MINISTER VELAYATI, HIS ASSISTANT GHOLAM REZA SAN’ATI, DIRECTOR OF THE MIDDLE EAST SECTION OF THE IRANIAN MFA MAHMUD HASHEMI-RAFSANJANI, ASSISTANT DEFENSE MINISTER MUHAMMAD VAHIDI, ADVISER TO THE FOREIGN MINISTER AHMAD FAS MALIJIAN, AND CHIEF OF PROTOCOL FOR THE VICE PRESIDENT MUHAMMAD HOSEYN DANYAL. 2. (U) THE SYRIAN MEDIA ON 5 NOVEMBER ANNOUNCED AGREEMENT BETWEEN THE LEBANESE SHIA AMAL AND HIZBALLAH MOVEMENTS FOLLOWING TALKS AT THE SYRIAN FOREIGN MINISTRY WHICH REPORTEDLY BEGAN THE EVENING OF 4 NOVEMBER. THE ACCORD WAS SIGNED BY AMAL LEADER NABIH BERRI AND HIZBALLAH SECRETARY GENERAL SUBHI AL-TUFAYLI “UNDER THE AUSPICES” OF THE IRANIAN AND SYRIAN FOREIGN MINISTERS AND IN THE PRESENCE OF SYRIAN MILITARY INTELLIGENCE CHIEF IN LEBANON, BRIGADIER GENERAL GHAZI KANAAN. ACCORDING TO THE TERMS OF THE AGREEMENT: — THE TWO SIDES WILL HELP FACILITATE THE DEPLOYMENT OF THE LEBANESE ARMY IN SOUTHERN LEBANON “IN ACCORDANCE WITH THE DEVELOPMENT OF ITS ABILITY TO ENFORCE LAW AND ORDER.” — ANY DISAGREEMENT ON IMPLEMENTATION OF THIS AGREEMENT MUST BE RESOLVED THROUGH REFERENCE TO THE SYRIAN AND IRANIAN PARTIES AND SUBJECT TO THEIR INTERPRETATION. — ALL PERSONS EVACUATED AS A RESULT OF AMAL- HIZBALLAH FIGHTING SHOULD BE ALLOWED TO RETURN TO THEIR “AREAS, VILLAGES, AND HOMES.” — A COMMITTEE WILL BE FORMED, “COMPRISING BRIGADIER. GENERAL. GHAZI KANAAN AND (IRANIAN AMBASSADOR TO SYRIA) AKHTARI,” TO SUPERVISE AND FOLLOW UP IMPLEMENTATION OF THE AGREEMENT. — FURTHER TO THE APPENDIX TO THE DAMASCUS AGREE- MENT (JANUARY 30, 1989), AND IN CASE EITHER PARTY VIOLAQTHE AGREEMENT, THE “INJURED PARTY” MUST INFORM THE COMMITTEE, WHICH WILL THEN CONVENE IMMEDIATELY TO “TAKE THE NECESSARY ACTION TO DETER THE VIOLATOR WITHIN A MAXIMUM PERIOD OF 24 HOURS. IN CASE OF A CRIMINAL OFFENSE, THE ACCUSED WILL BE HANDED OVER TO THE CONCERNED AUTHORITIES.” — THE AGREEMENT WILL TAKE EFFECT AS OF 10 NOVEMBER 1990. 3. (U) BEYOND MENTIONING HABIBI’S DESCRIPTION OF HIS TALKS AS “SUCCESSFUL AND FRUITFUL” ON HIS RETURN TO TEHRAN NOVEMBER 6, THE SYRIAN MEDIA HAS NOT PROVIDED DETAILS OF ANY SUBSTANTIVE ACCOMPLISHMENTS TOWARD THE STATED GOAL OF “CHARTING A PLAN OF ACTION” TO DEVELOP BILATERAL RELATIONS “IN ALL FIELDS.” BOTH SIDES AGREED TO FORM SUBCOMMITTEES TO FOLLOW UP THE SYRIAN-IRANIAN JOINT COMMITTEE’S THREE SESSIONS ON BILATERAL COOPERATION. HABIBI MET WITH SYRIAN PRESIDENT ASAD (IN LATAKIA) ON NOVEMBER 4, AS WELL AS WITH VICE PRESIDENT KHADDAM. OTHER MEETINGS BETWEEN IRANIAN AND SYRIAN OFFICIALS DEALT WITH LEBANON AND OTHER “REGIONAL AND BILATERAL ISSUES,” ACCORDING TO THE LIMITED MEDIA REPORTING. 4. (C) WHILE SYRIA CONSIDERS ITS SUCCESS ENSURING IRANIAN COMPLIANCE WITH UN SANCTIONS ON IRAQ TO HAVE BEEN THE SUPREME ACCOMPLISHMENT OF ASAD’S SEPTEMBER VISIT TO IRAN, THE DIFFERENCES BETWEEN THE TWO SIDES ABOUT THE PRESENCE OF FOREIGN FORCES APPARENTLY CONTINUE TO BE AN ISSUE. ALTHOUGH SYRIAN MEDIA HAVE BEEN LARGELY SILENT ON GULF-BELATED ISSUES (SEE SEPTEL ON INFORMATION MINISTER SALMAN’S RECENT REAFFIRMATION THAT SYRIA DEMANDS IRAQ’S FULL AND UNCONDITIONAL WITHDRAWAL FROM KUWAIT), WE NOTE THAT IRANIAN MEDIA CITED HABIBI’S NOVEMBER 4 STATEMENT THAT “ALLIED FORCES MUST WITHDRAW FROM THE REGION” AND THAT KHADDAM SAID IN RESPONSE THAT “THE PERMANENT PRESENCE OF FOREIGN FORCES HAS NOT TOLERABLE.” THE TWO SIDES ALSO RECONFIRMED THEIR REJECTION OF ANY GEOGRAPHICAL CHANGES IN THE REGION AND THEIR SUPPORT FOR COLLECTIVE REGIONAL SECURITY COOPERATION. SYRIAN PRESS ON NOVEMBER 7 QUOTED HABIBI’S ARRIVAL STATEMENT AFFIRMING SYRIA’S AND IRAN’S CONDEMNATION OF IRAQ’S INVASION OF KUWAIT AND THE TWO GOVERNMENTS’ CALL FOR IRAQ’S UNCONDITIONAL WITHDRAWAL. 5. (C) THIS LATEST AGREEMENT TO END THE OFTEN BLOODY INTRA-SHIA FEUDING IN LEBANON WILL LIKELY BE THE PRINCIPAL ACCOMPLISHMENT OF THIS VISIT. UPON HIS RETURN TO TEHRAN, HABIBI LAUDED THE AGREEMENT AS AN ACHIEVEMENT WHICH WILL ENABLE “THE MOBILIZATION OF ALL CAPABILITIES TO CONFRONT THE ZIONIST ENEMY.” HIZBALLAH LEADER AL-TUFAYLI ECHOED THIS SENTIMENT WHILE AMAL LEADER BERRI, BY CONTRAST, MERELY VOICED THE HOPE THAT AMAL AND HIZBALLAH MEMBERS WILL BE ABLE TO “RETURN TO THEIR HOMES AND VILLAGES.” 6. (C) THE ABSENCE OF ADDITIONAL INFORMATION ABOUT OTHER ASPECTS OF THE VISIT MAY REFLECT DISAGREEMENTS OVER THORNY BILATERAL MATTERS LIKE ECONOMIC ASSISTANCE. OUR COLLEAGUES TELL US THAT ASAD DID NOT OVERCOME THE RESISTANCE TO CONTINUED OR INCREASED ECONOMIC AID TO SYRIA BY CERTAIN HARDLINE IRANIAN CLERICS, BECAUSE OF SYRIA’S 5.5 BILLION USD DEBT, DURING ASAD’S VISIT TO TEHRAN. AS A RESULT, NO CONCRETE TRADE AGREEMENTS WERE SIGNED, ALTHOUGH SYRIA IS STILL TAKING ADVANTAGE OF CONTINUED IRANIAN WILLINGNESS TO SELL IT OIL AT BELOW-MARKET RATES. WHETHER THESE REPORTS ARE TRUE, IT DOES NOT APPEAR FROM THE COMPOSITION OF THE IRANIAN DELEGATION OR THE MODEST SYRIAN MEDIA COVERAGE THAT THIS FIRST GATHERING OF THE SYRIAN-IRANIAN SUPREME COUNCIL WILL RESULT IN HIGHER IRANIAN AID LEVELS FOR SYRIA.